Massive migration from the rural to the urban areas is not a recent phenomenon, but there is a tendency towards rapid acceleration of this movement of late. At the same time increasingly water is becoming a scarce resource and the nation can ill afford to waste even a drop of water. This double edged sword of increase in demand and decrease in supply is creating a huge amount of pressure on the existing infrastructure of the water supply in most of the urban areas. Many a times it becomes important that the water resource is rationed and managed properly so that the demands are met and there is no social unrest because of unfulfilled demand. The municipal administrators need a solution which manages the water resource and the vehicles carrying them properly so that there is no waste and at the same time the real demand of the citizens are met at the right time. 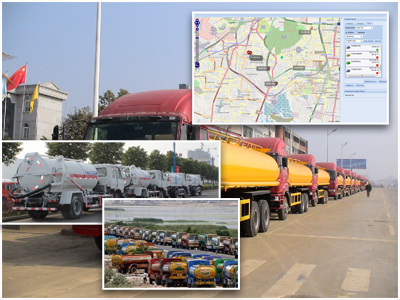 No quick response to emergency cases like truck accidents and breakdowns, long time idling of tankers, and route violations. SXnavo provides a complete suit including, Intelligent Vehicle Tracking Solution and Grievance Redresal combined together in our solution. SXnavo - The Intelligent Vehicle Tracking System in India and Civiq - The Intelligent Citizen Grivience Redressal System are combined to provide to provide a one-stop solution for the urban local bodies. The solution helps meet the challenges of improving frontline services cost effectively by providing up-to-date information 24x7.